V7 toner and ink cartridges are 30-60 percent less expensive on a per copy basis than those sold by original equipment manufacturers (OEMs) and come with a 100 percent "worry-free" satisfaction guarantee. 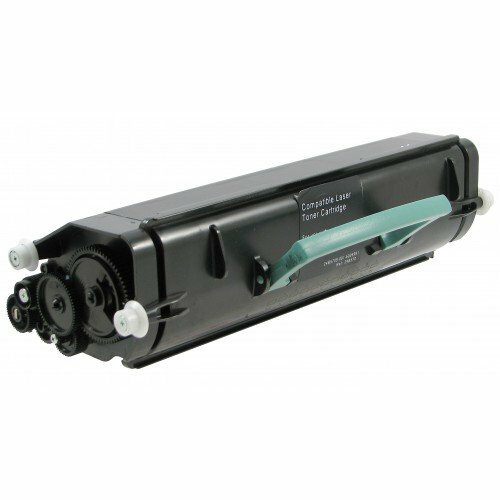 V7 toner cartridge are original OEM cartridges that are remanufactured recycled, keeping thousands of tons of industrial-grade plastics and metals from ending up in landfills each year. V7 printer cartridges will meet or exceed the quality of an OEM cartridge. Choosing remanufactured imaging supplies is not only a smart choice for your bottom line but it is also the best choice for the environment. Designed, engineered and manufactured in North American ISO 9001:2008 - certified facilities, all of V7's remanufactured products are guaranteed to meet or exceed OEM performance while reducing landfill waste. V7's continuing investment in research and development, technology and innovation ensures quality far superior to what any of our competitors can offer. Remanufactured cartridges are good for the environment: When a cartridge is remanufactured, it is reused. Reusing a discarded product is the highest form of environmental responsibility. It is superior to recycling in that it doesn't use non-renewable resources to breakdown plastic or metal. Buying remanufactured V7 toner cartridges and recycling empty cartridges are easy ways to reduce the environmental impact of products while saving substantial amounts of money. The typical used toner cartridge weighs about 3 pounds and is composed of 40% plastic, 40% metal, and smaller percentages of rubber, paper, foam, and toner. The plastic is made of engineering-grade polymers and takes at least 1,000 years to decompose. However, approximately 97% of these combined components can be recycled and reused.